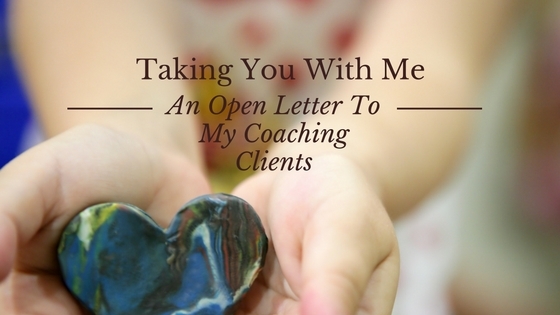 I am taking you, all of you, and your incredible, vulnerable, authentic stories with me. You see, my job is not only to be available to people on a 1:1 basis for coaching, but I have also made it my life’s work to help workplaces become places that take good care of you too. So when I go out and talk to professionals who share the responsibility of creating workplace wellness programs, I hold you in my heart. I remember your journeys. I take myself back to meetings we have had where you share your deepest challenges and greatest successes. I carry this with me as I walk into conference rooms full of people ready to talk about rising health care costs, and strategic, data-based solutions. I am one of those people. The challenge that employers face is real and tough. As the wellness industry has gained momentum in the past 5 years, the business community has increasingly worked toward creating these strategic and data-based solutions. The challenge though is that, in our effort to provide credible solutions, in many instances we have lost sight of you. We used words like “population health strategy” and we lost sight of YOU. And for whatever role I have played, I am here to say I am sorry. In a twist of fate, this woman is now one of my personal coaching clients. She and I have worked hard together to step fully into her story… the good, the bad, and the ugly. And we have sought truth, honesty, authenticity, and worthiness. And you know what… she is now one of those people who has better cholesterol, blood pressure, triglycerides, and glucose. But WAY more importantly, she is working toward believing she is worthy of all that this life has to offer her, and it has changed the way she perceives herself, the world around her, and her future. Those lab values were secondary to the rest of her journey. Now, I carry her in my heart when I walk into boardrooms to advise organizations about creating a wellness program that is meaningful to their employees. Because three years ago when she told me that I had done everything to make it possible for her to be healthy, and she was the only thing left to change, she was absolutely right. I hadn’t really been focused on her. She got lost in a sea of “population health strategies”. The truth is that I don’t have all the answers about how to guarantee a wellness program that will lower an employer’s health care costs, but I will make sure that I keep employers informed about the big myth that we have been selling in our industry: the myth that any one of the solutions we offer up is a sure bet; because then and only then can we start to create really meaningful change for employers and employees alike.